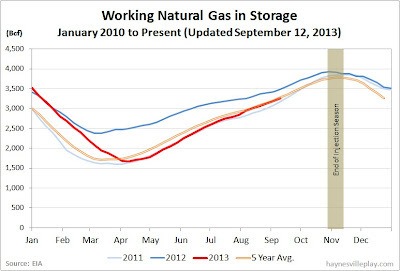 The EIA reported this week that working gas in storage was up 65 Bcf to 3.253 Tcf. The weekly injection was 141% above last year (+27 Bcf) but only slightly higher than the five year average (+62 Bcf). 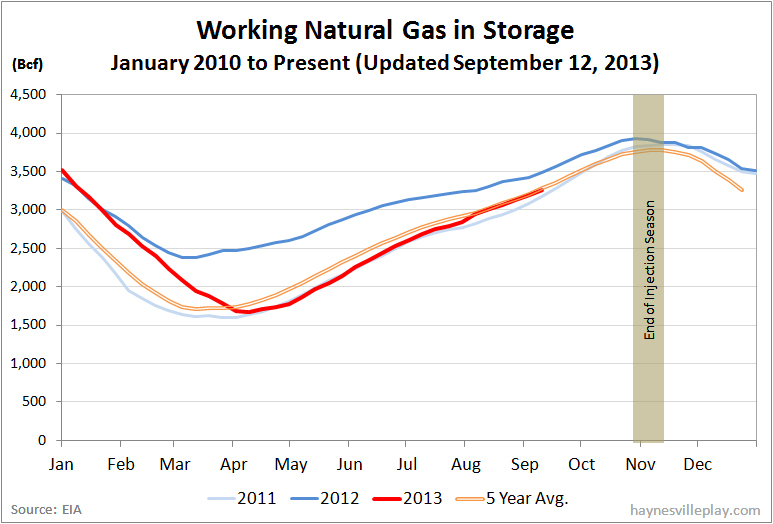 The current storage level is 5.0% below last year (3.425 Tcf) but 1.4% above the five year average (3.207 Tcf). Temperatures in the Lower 48 averaged 75.3 degrees, 0.3 degrees cooler than last year but 4.1 degrees warmer than average.